Goverre Stemless Portable Wine Glasses are an innovative design for wine or any drink on the go! Its thick durable white glass container holds 17 oz of your favorite beverage. And the silicone sleeve in a houndstooth pattern prevents heat transfer & provides a non-slip grip. And finally the Lid. 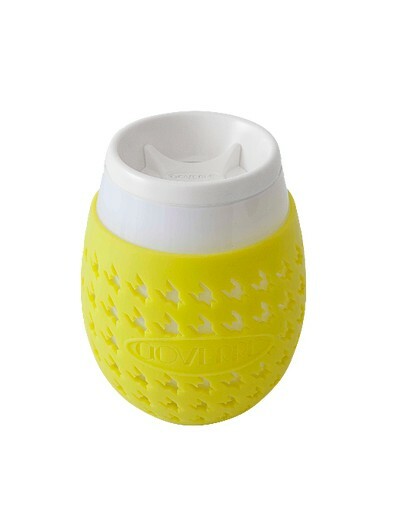 Use with or without the drink-through lid. One last thing, Replacement Goverre Lids, are also available just in case one gets lost. 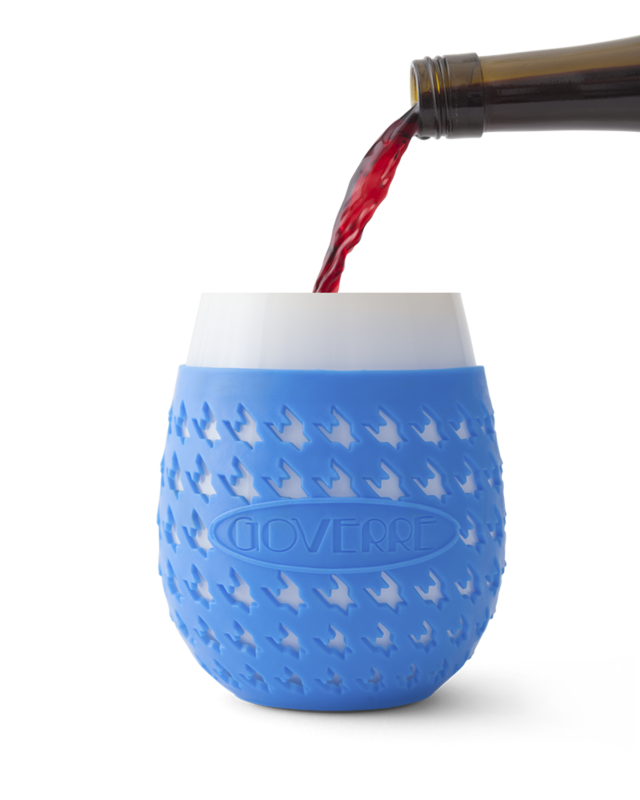 Goverre Portable Stemless Wine Glasses are fun! Bring them to a picnic, the beach, concerts in the park, camping or for a backyard bbq! And Goverre Stemless Portable Wine Glasses are a perfect gift! But make sure to get a set for yourself too! 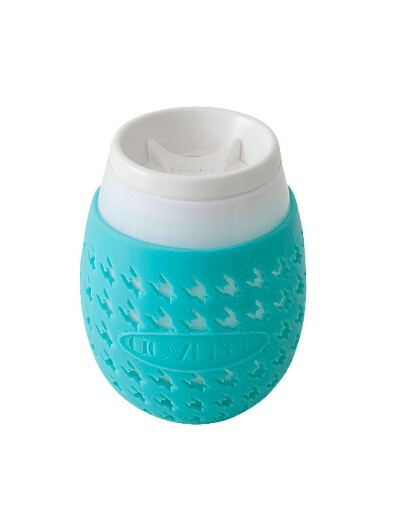 Portable, stemless wine glasses with a silicone sleeve and a drink-through lid. Glass with a silicone sleeve on the outside. Lead and phthalate-free. Dishwasher safe.